I take this opportunity to write to you. I have been trying to find your online articles so that I say what I want to say on your articles for your readers to read. Briefly I wanted to contribute to your "academic work" on Rwanda since you are an expert like most Westerners, especially here in North America anyone who visits Rwanda he update his/her resume as an expert on African affairs. It would be troubling if I went to bed without studying some facts with you especially considering that the picture I have attached to this email which you took in Rwanda is showing my father’s house of which is now occupied after being grabbed. Yes that is where my grandmother put her last signature about this life. Who killed her "Some extremist Hutus who didn’t want to share my father's sweat with her." Perhaps some of the stories will go that way when they will be written about who smashed my grandmother's head in order to grab her son's house which is showing clearly on the photo you took in a place we used to call "MURUVUNDA" because of its volcanic gravures that separate the flat plains of Umurera and the highlands of Bukonya, and hillsides of Ubuhoma. I am now establishing my story in order to help you understand that I am not a foreigner on what I am talking about. I am trying to prove to you that your topics are closer to my heart. I am a firsthand consumer of your information. I speak numerous languages from Kinyarwanda, which is my mother tongue, English which is your ancestral language, French which my colonial identity, Kiswahili which is my African language, Luganda which is my neighbour’s in the East language, Lingala which is my neighbours of the west language, and Kirundi which is my brother's language. Therefore, I am culturally competent to express and understand what is going on in the region both in body expression and said word communications. This helps me understand well than anybody else the root cause of Rwandan problems because I am aware of my history which I don’t need to be told by an alien. I love Rwanda and its people, however, I hate those who come to tell us when our problems started how to solve them, and what to use to solve them. As HE Paul Kagame puts it over and over, Rwandans understand well their history, their problems, and have their solutions. When you say that you are bringing peace, forgiveness, and reconciliation among Rwandans, I tend to put you in the same category with Pastor Rick Warren of California, US. You both need to go back to the drawing table and ask yourselves whether you have not contributed to the divisions that Rwandans are experiencing now than the so called solutions you are claiming to bring to Rwanda. If I may ask you Sir, don’t you think that your writings on Rwanda have caused more harm than good in the hearts of Rwandans? I have analysed several of your “academic stories” on Rwanda, one of your narratives is that President Habyarimana Juvenal of Rwanda and Cyprian Ntaryamira of Burundi were killed by Hutu extremists. Really, I wonder whether you sleep comfortably after writing this lie. 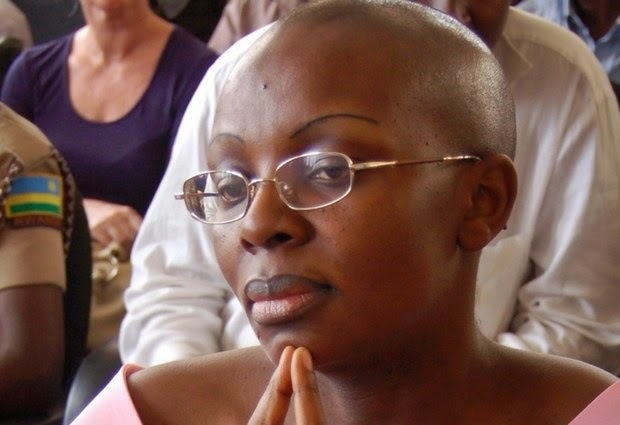 My aunty who is a Tutsi was told that Habyarimana has been killed, her first reaction was, “I know, Kagame did it again,” and yet she was blind since she was born. This is a sheer indication that most foreigners either ignore the truth or don’t get it. 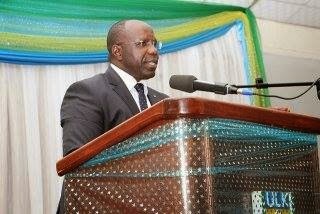 Rwanda is the most complicated story of all times which can only be understood by Rwandans themselves. As a Christian claiming to do the work of God you shouldn’t be involved in propagating smear propaganda because I fully understand and believe that what you write is not a reflection of your heart. 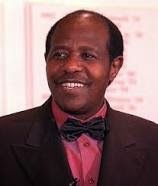 You know the truth that continuing lying that Hutus killed the most loved and cherished Hutu leader of all times. If you need more of the truth since you are an academician from Australia I will give you three Australian based evidences that Paul Kagame, the name you fear to mention in all your writings, killed Habyarimana and Ntaryamira. Go and read your fellow countryman Michael Hourigan: http://www.globalresearch.ca/evidence-of-kagames-crimes-suppressed-by-chief-rwanda-prosecutor-louise-arbour-testimony-of-michael-andrew-hourigan/5377200. Hence, under the command of Lieutenant Thomas Tilbrock, the Australian infantrymen did not open fire to defend the refugees: http://www.awm.gov.au/units/unit_15687.asp. Terry Pickard: http://muse.jhu.edu/journals/arw/summary/v053/53.1.pottier.html. 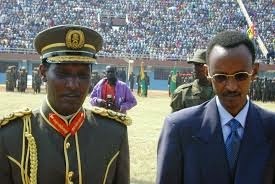 Just to help you understand you do no justice when you write all your emotional stories based on who like and who you hate and continue misleading your people thinking that you have witness story but it’s just like any western propaganda in order to establish Tutsi Empire in the great lakes region. Politiki : Dr Paulin Murayi aramagana inyandiko y'ikinyoma yo gucamo opposition ibice no kumuteranya na Dr Théogène Rudasingwa . Maze gusoma inyandiko y’impimbano yiswe « Kabuga’s son-in-law files case aigainst Theogene Rudasingwa in Brussels » ikaba yaranditswe ntagushidikanya n’abambari ba Kagame. Ndamenyesha abasomye iyo nyandiko bose yuko ibikubiyemo byose ari ibinyoma byambaye ubusa muli wa muco w’ingoma ya Kagame na FPR ikunze gukoresha wo guharabika no guhimbira ibyaha abantu bashaka kubica, kubafunga cyangwa se gutwara utwabo. Nagiraga ngo mbonereho umwanya wo kubwira abanyarwanda ko n’ubwo navuye muli RNC ntacyo mpfa na mugenzi wanjye Dr Theogene RUDASINGWA kimwe n’abandi twahoranye muri iryo shyaka. Twatandukanyijwe na stratégies tutumvikanyeho ariko icyo duharanira twese kiracyari kimwe kandi nzi neza ko tuzongera gukorana kuko duhuje umugambi. Dr Theogene RUDASINGWA twakoranye byinshi kandi byiza mugushaka ukuntu twabohoza igihugu cyacu ingoyi y’ubutegetsi bwa KAGAME na FPR yahozemo. Nk’urugero nakwibutsa ko ari njye wamuherekeje agiye gutanga ubuhamya kwa Juge Trévidic mu Bufaransa nk’uko yabyitangarije mugitabo cye. Twarafatanyije kandi, n’ubwo tutakiri mu ishyaka rimwe, turacyafatanya kurwanya no kwamagana ubwo butegetsi bw’igitugu yahozemo, akaba yaravuyemo kubushake bwe kuko bwica, bwiba, bubeshya, buvangura amoko kandi bubuza amahoro akarere k’ibiyaga bigari n’isi yose. Iyo nyandiko n’ibisa nayo rero ndasaba abanyarwanda bose kubyamaganira kure kuko ntakindi bigamije uretse gucamo ibice abanyarwanda, no kubuza opposition kwishyirahamwe kuko ariyo ntwaro yonyine izatsinda buriya butegetsi bushaka kutumarira ku icumu. Ndagira ngo mbonereho umwanya wo kubwira inshuti zanjye zose twahoranye muli RNC, ko n’ubwo tutakiri mw’ishyaka rimwe, ngifatanyije nabo umugambi wo gukora igishoboka cyose ngo u Rwanda rushobore guturwa n’abanyarwanda bose ntavangura ry’amoko, uturere, amadini n’ibindi ; kandi sinshidikanya ko tuzongera gukorana vuba na bwangu kandi tukazabigeraho. Nsabye abanyarwanda bose kwamagana uwo muco mubi w’ubutegetsi bwa KAGAME wo guhimbira ibyaha abantu bose barwanya imikorere mibi yabwo, bukoresha kugira ngo burambe. Ngo inkoni ikubise mukeba uyirenza urugo. Tubyamagane twivuye inyuma!!! Uyu munsi ni njye na mugenzi wanjye RUDASINGWA bahimbira kugira ngo bacemo ibice opposition, mu myaka yashize n’abahutu benshi bahimbiwe kuba barishe abantu muli genocide kandi ntaruhare nabusa bayigizemo. Abenshi bari za gereza, zaba iz’u Rwanda, cyangwa se mu mahanga. 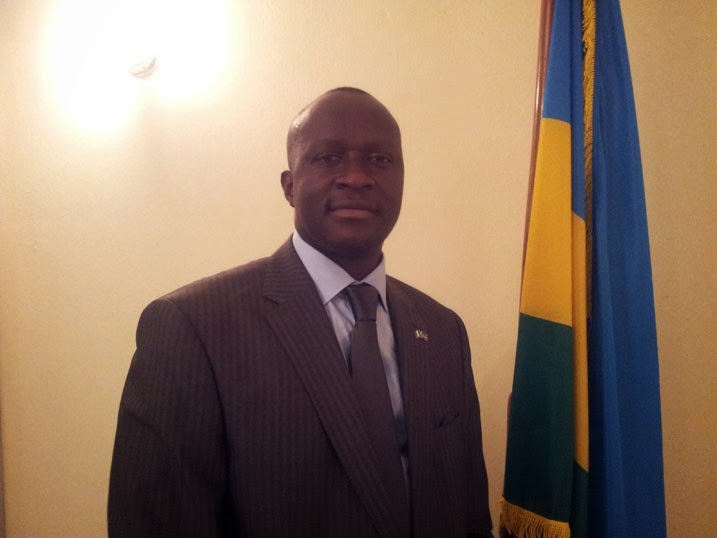 Banyarwanda banyarwandakazi mukunda ukuri nimuze dufatanye twese, dushime ubutwari bwa Dr RUDASINGWA Théogene, Patrick KARAGEYA, KAYUMBA NYAMWASA, Jean Marie MICOMBERO n’abandi benshi ntarondoye bahoze muri ubwo butegetsi bageraho bagafata imigambi yo kuburwanya bamagana ibyo binyoma, ubwicanyi n’ubusahuzi bukorerwa abana b´abanyarwanda kandi bafitiye gihamya ndetse bamwe muri bo bakaba barabiguyemo nka nyakwigendera Col. KAREGEYA Patrick n’abandi bamubanjirije. Banyarwanda bose muri muri opposition koko nimuze twese dushyire hamwe twubake u Rwanda rw’ukuri, rw’ubworoherane, rudahotora abana barwo cyangwa ngo rubacuze ibyo baruhiye. Byandikiwe i Buruseli ho mu Bubirigi. Akaba n’umuyobozi wungirije wakabiri w’ishyirahamwe ry’amashyaka CPC. kurigisa, abandi bakomeje kurohera mu nzu zimbohe, abandi bakomeje guhunga igihugu, arimwe bahunga mwe bayobozi bakuru, mugira ngo simbibona, nyamara bana banjye ibyo byose mukora mbibona mbere yuko mubikora, mubimenye rero igihe cyo guhorera abana banjye kirageze, kandi bya bihe bibi bikomeye mwabigezemo, ibimenyetso byinshi mwarabibonye. Bana banjye, imvura y’amahindu igiye kubanyagira murumve namwe iyo mvura iyo ariyo,bana banjye uyu munsi mbabwiye bike, ibyinshi narabibabwiye, kwari ukubibutsa, muramenye rero ejo ntihazagire uvuga ngo ntacyo navuze,ngaho mubane najye urukundo rwanjye rubasakaremo, ngaho mugire amahoro kandi mugwize andi. 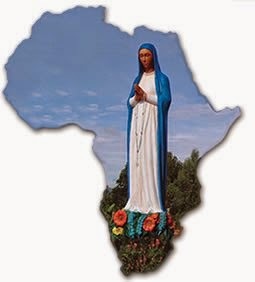 Mbahaye umugisha ku Izina ry’Imana Data na Mwana na Roho Mutagatifu.Amen. Nkuko mugenzi wanjye yiseguye munyandiko ye avugako atazi Rusesabagina nanjye niko ntamuzi uretse kuba mushimira kuba yarasohoye Hotel Rwanda movie yafashije abantu benshi batagiringano gusobanukirwa nikinyoma cya FPR nabambari bacyo cyavugaga ko abahutu bose bize. Naho ntakintu kindi muziho. Ibyerekeranye na FOundation ye ntanicyo imariye abanyarwanda baba abo murwanda cg se abari munkambi hirya nohino muli Afrika. Ikindi ngaya kuri uyumugabo nuko mbona nawe adafite inyungu zabanyarwanda mubitekerezo kuko iyo aza kuzigira amafranga yarunze mumakonti ye muli Foundation Rusesabagiza itarigeze ifasha numwana numwe wimpunzi kandi dufite abapfakazi besnhi bimpunzi banyanyagiye muli Congo Brazaville, DR Congo, cyane cyane Kenya aho FPR yakoze uko ishoboye ikimisha ibyangombwa impunzi zabanyarwanda ibicishize munyenzi ziyita abagikuyu maze zigahabwa akazi na UNHCR Nairobi nyuma zigashingwa mukubuza amahoro impunzi Bwana Rusesabaginaa sindamubona cg se ngo numve numunsi umwe hari impunzi umuryango we wafashije haba mumashuli cg se mubuzima busanzwe bwo kubona ibyo kurya. Birambababaza iyo mbona imiryango yabatutsi yavutse nyuma ye kandi itamurusha ingufu nka MAPENDO INTERNATIONAL imaze gufasha abatutsi benshi ndetse naba demob ba FPR kujya mubihugu byo hanze ariko Rusesabagina uretse kwirirwa avuza induru nkabandi banyapolitiki babahutu dufite hano mubihugu byi Burayi bahaga brochette barangiza bati ejo turakuraho Kagame ntakintu nakimwe yakoreye impunzi. Nonese ko aribyo nanabajije bwana Rukokoma, ibintu batakoreye impunzi zili mubuhungiro bazazibikorera bali muntambara? FPR yafashije impunzi zenwazo ibavugira mumiryango mpuzamahanga mbere yuko batekereza kuza gukuraho ingoma yabahutu nonese mwebwe ko ntakintu nakimwe mbona kigaragara mwakoze aho kutubohoza sibinwa gusa. Nonese umuntu wishakira amaramuko nka bwana RUSESABAGINA ntiyibuke ko tugifite impunzi zikenenye muri africa uwo utatwibutse ubu azabibuka aruko yabaye President. namenye bwana NYAMWASA arimo kutwica umusubizo za Sake, Masisi, walikale na Tingitingi. Sinzi niba harumunyarwanda wumuhutu numwe wakwiyibagiza uburyo NYAMWASA ninyenzi yarayoboye batwishe umusubizo. Utabizi neza ndagirango azabaze udufuni twakubitiwe KIBEHO muli 1995. Inyenzi zose zirikwivuga ngo ica HADUYI. Ntibwakeye kabiri NYAMWASA aza nkiyagatera muli gahunda yabo yokugabanya abahutu ubwo zukutwica aswa atanzitse. Ushaka kumenya uko byagendeye abahutu mugihe bwana NYAMWASA yarakirikwibere mungoma yinyenzi azabaze ababyeyi bacu yiciye umujsubizo kumugezi wa LUBUTHU hayi ya Tingitingi. Ibyo ntibyahagije yarakomeje za Kisangani, Ubundu, Ikella, Boende, Mbandaka kuburyo yagiye ariha abanyekongo amadolari 50 kumuntu wese wazanye impunzi yumuhutu ayikuye mwishyamba. Ntitwibagirwe ko aya mafranga yose yagiwe atangwa na US, UK, na ISREAL muli gahunga ya simusiga, nagabanhutu. Ibyo kandi byaje bisanga muli gahunda yo kwica Habyarimana. Ntakuntu yakwihandagaza ngo avuge ko atarabizi cg se nawe atari mubabipanze. Ibibyose mugihe KAYUMBA nabambari be batarasaba imbabazi abanyarwanda. Ahangaha ndavuga abanyarwanda bose kuko yicishize abatutsi babaga murwanda nuko arangije yica abahutu umusubizo ndizerako abaturage ba RUHENGERI batazamwibagirwa muli SONGAMANA uko yabarasagamo urufaya. None se inyamaswa nkiyi wayigira president ute koko? Bwana AKISHULI: Nkuko natangiye mbivuga ntabwo muzi neza gusa nsoma ibyo agenda avuga ibyo yiyererutsa ko ashaka amahindura aba bantu bose nabo muli RNC basangiye ikitu kimwe. Nuko bose bakuwe kwibere na FPR ninyenzi Kagame naho iyo akomeza kubashira kwibere nuyu munsi baba bakitubuza amahwemo bagenda bavuga ngo abahutu bose barishe. Ibyo byose nawe bwana Akishuli nanabivuga kumuntu nka TWAGIRAMUNGU wibwiriye abanyarwanda ngo naho RUHENGERI NA BYUMBA zafatwa ntacyo bimubwiye kuko inyenzi FPR izafata igihugu ikamugira Prime Minister. 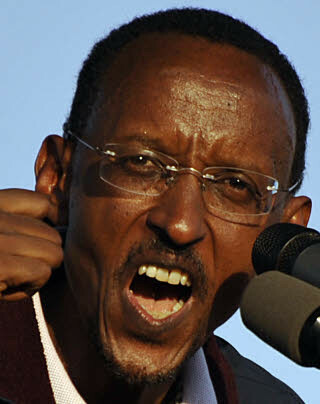 Bwarakeye biraba kuba rero yarashwanye na KAGAME ntibivugako byamwigishije gukunda urwanda. Ahubwo ibyo akora abikora kuberako KAGAME yamwimye ubutegetsi kuko RUKOKOMA ntagahunda nimwe numvise avuga ko afite mumpunzi aho ziborera mumakambi. nanubu ahawe umwanya mu Rwanda yata abanyarwanda inyuma nkuko yabigize muli 1994.
niko mubona kuko munyandiko ze ziheruka haraho yanditse avuga ngo yifuzako abantu babuze ababo kubwa Habyarimana cyane muli coup d'etat ya 1973 ngo bagomba kwibuka.. Haha nugusetsa imikara ndizera neza nubwo ubutegetsi bwa Habyarimana bwishe. Ugereranyije abanyarwanda bwishe nubwo uko bangana kose bakeneye ubutabera, ariko nubwo ntazi neza bwana akishuli, abo yishe abanyarwanda yishe abaziza ko ari abahutu guhera yinjira mungabo zinyenzi kugeza atorotse bakubye incuro eshanu abo ingoma ya Habyara yishe mumyaka 20 yamaze kungoma murwanda. Kandi bwana Akishuli yari umusoda usanzwe. Ikindi navuga nuko akishuli yemera ko jenoside yabaye murwanda ari iyabatutsi. Urumva ko amatwara ye araya FPR yiyoberanije ninde se utazi gukora imibare ngo amenye neza ko FPR yishe abahutu benshi kurusha abatutsi bose bapfuye kuva isi yaremwa. Ndagirango unyumve neza amaraso yumunyarwanda naho yaba ari umwe agomba kubungwabungwa akarindwa, ariko dukoze imibare kugirango nerekane nuburyo abantu nka Akishuli bagenda batujijisha munyandiko zabo akenshi bandika iyo bahaze brochettes ahongaho mubuhungiro nuko inyenzi zica Habyarimana muli 1994 urwanda rwari rutuye na 6millioni. Statistics zitubwira neza ko Abahutu bari 84%, Abatutsi bakaba 15%, naho bagenzi bacu binzirakarengane bitwa Abatwa bakaba 1%. Ngaho dukore ijanisha. 84% bya 6millioni ni 5,040,000. Abatutsi bari 14% noneho 14% bya 6millioni bihwanye 840,000. 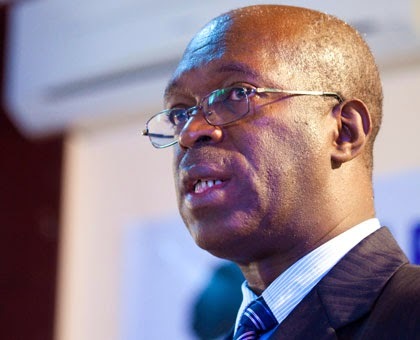 Abatwabo bari 60,000. Dukomeje tukajya mubya Ibuka ivugako harokotse ibihumbi 500 byabatutsi, ikongera ikavuga ko hishwe abatutsi hagati ibihumbi 800 na millioni ntabwo imibare ihura na gato. So abantu bavugako jenoside yabaye murwanda ariyabatutsi ntahantu bataniye na Kagame wirirwa ataburura amagufwa ya Data yarangiza akajya kuyatandika irebero ati nayabatutsi. Nonese abnyapolitiki nkaba bagishigikiye amatiku basize bakoze murwanda kuko bose bayagizemo uruhare bakaba batemera no gusaba imbabazi abanyarwanda ubona bazatugeza kuki uretse kwishakira ibyo bashira mubifu byabo. Ninde se numva wayobora urwanda akarugeza aho abana burwanda bose bifuza. naho abitangiye kugirango ikibazo cyabocyumbvikane. Aban yafashije mumakambi yaba aya Congo Kenya nizindi nkambi zabanyarwanda mumishinga yakoze yokubafasha ntwarondora naho abandi bose nibisahiranda. Bazamanze bisuzume mbereko bavuga ngo bagiye guhagarira abanyarwanda. Dore ubu mfite imyaka 28 kandi nkomoka ibyumba nukuvugako imyaka nagize amahoro ari imyaka 4 gusa mbereko umwanzi FPR adutera nyuma yaho sindabona umunyapolitiki muzima mubahutu bakwizera ngo bavuge bati uyu azatuyobora. Publié le 24-07-2014 - à 12:15' par Jovin Ndayishimiye. Pourquoi un si court séjour à la primature du Rwanda pour un si grand travailleur comme le Docteur PD Habumuremyi ? 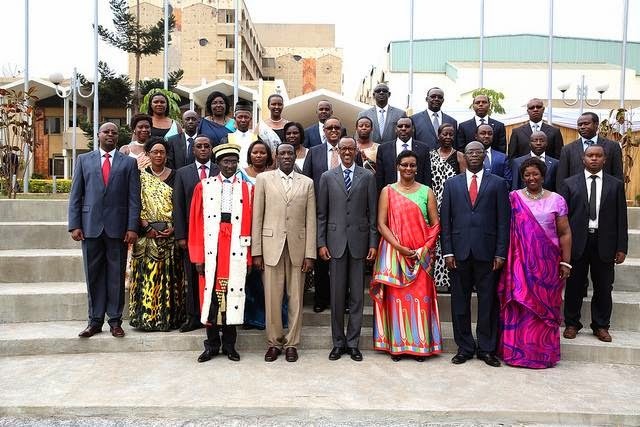 Beaucoup d’observateurs politiques de la scène rwandaise se posent la question de savoir comment le Chef de l’Etat Kagame qui aime de grands travailleurs peut avoir si facilement lâché le docteur. Pourtant, la donne politique rwandaise est essentiellement sécuritaire. Tout ce qui vient déséquilibrer la sécurité du pays ne peut être toléré. Des observateurs avertis reviennent sur le travail de sape des FDLR (Forces Démocratiques de Libération du Rwanda) qui sont entrés dans les différentes sphères et catégories socials de la société rwandaise afin de faire en sorte que leur influence soit de plus en plus visible dans le pays. étendu à la structure des dirigeants de base de Musanze avec risque de s’étendre sur d’autres districts ? ", ainsi se questionne cet analyste politique rwandais qui ne sait pas percer le mystère opaque entretenu par des agents de sécurité autour des menées des FDLR surtout dans la region du Nord oust du rwanda qu’elles veulent considerer comme leur fief. Toujours est-il que le Premier ministre sortant a des membres de sa famille très actifs dans l’organisation des FDLR. Ceci, avec la haute fonction gouvernementale qu’il occupe, l’embrigade et le force à jouer à contre courant des programmes gouvernementaux et au bon maintien de la sécurité sur l’ensemble du territoire rwandais. "Le propre frère du Premier ministre sortant, membre influent dans les FDLR, a été récemment aperçu dans l’hôtel du Premier Ministre à Ruhengeri", avance un analyste politique local montrant que le Premier Habumuremyi est écartelé entre la loyauté à son Président et l’entreprise FDLR en complicité avec les forces coalisées dans la conjuration de la Communauté internationale pour la capture du Pouvoir de Kigali. internationales qui interviennent dans cette problématique. "Venant de Tanzanie où il venait d’assister à une fonction engageant les Etats membres de la East African Community pour se rendre aux cérémonies d’investiture du Président kenyan nouvellement élu Uhuru Kenyatta, l’alors Premier Ministre Dr P.D. Habumuremyi s’est vu proposer et accepter d’être pris en autostop par le Président Jakaya Kikwete. Que se sont-ils dit tout le long du trajet jusqu’à Nairobi surtout que Kikwete venait d’une visite d’Etat en France pour faire des déclarations de négociation avec les FDLR sonnant comme un coup de massue sur le Gouvernement rwandais ? 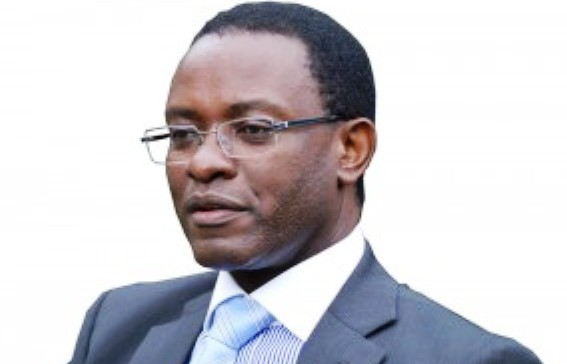 Toujours est-il que, sitôt ayant atterri à Nairobi, Dr Habumuremyi a été immédiatement rappelé à Kigali à sa descente du de l’avion lift”, rapporte cet observateur politique qui montre que le gouvernement rwandais a connu des situations très délicates au moment où ses hauts fonctionnaires ont commencé à pactiser et comploter dans son dos avec ses adversaires. honorable à son président et regagner sa confiance du moment que les Fdlr semblent perdre l’allure de leur propagande politique et de leurs soutiens internationaux ? Cette situation consistant à couper l’arbre sur lequel on est assis est une vieille pratique locale qui montre que le gouvernement et le parti moteur FPR doivent revoir au quotidien et réactualiser leur lutte contre les idéologies qui minent sérieusement leurs efforts de reconstruction du pays. 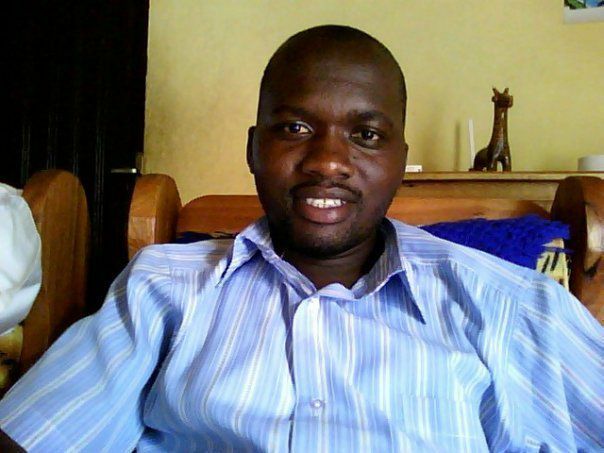 On April 3, Damien Musayidizi "disappeared" on his way home from work. 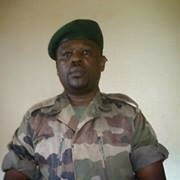 A former army sergeant, he had been Gen. Habyarimana's secretary at the ministry of defense. On April 4, a Kigali shopkeeper, Jean-Marie Vianney Nkulikiyinka, was taken from his shop at about 10 p.m. by unidentified persons and has not been heard from since. a law class at the University of Central Africa in Kigali. He failed to respond to calls on his cellular telephone and his vehicle apparently disappeared from the city streets. 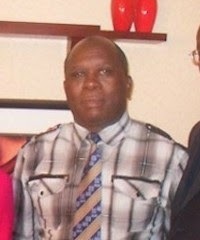 Initial inquiries to police and judicial authorities elicited no information about his whereabouts, but some days later police reportedly told Cyiza's family that his vehicle had been found in the northwestern district of Butaro, near the Ugandan frontier.The police spokesman, Tony Kuramba, told others that Cyiza's vehicle was found in Nkumba district, adjacent to Butaro. According to witnesses, however, his vehicle was seen the night of his "disappearance" in the Kanombe military camp. Depite Nkelinka Eustache aba mu Budage ubu yayobotse Diaspora! Base muri 1998 agiye I Kigali. azira umwanya yarafite muri PNUD. 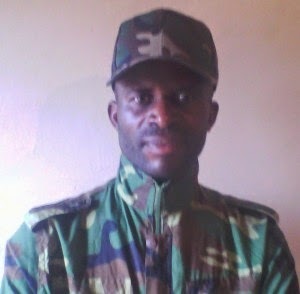 On April 1, Major Felicien Ngirabatware, a friend of General Habyarimana and director of the Ruhengeri Military School, was arrested and has since been held incommunicado. 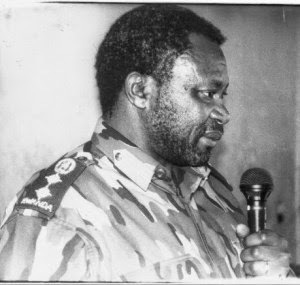 The commission said that MDR members used newspapers like Umuseso and Le Partisan to disseminate their ideas.5 In January 2002 Le Partisan published an article detailing RPF efforts to control the MDR. The author of the article, Amiel Nkuliza, was detained for several days and the MDR secretary general Pierre Gakwandi was jailed on suspicion of having been the source of information published in the article. uyu yarashinzwe kuyobora akarere ka ops gabiro ariko ibintu yakoranye numu lieutenant ndagijimana wumututsi ukomoka i butare nagahomamunwa. Bwana habyarimana yafashe imbunda nako amasasu ya gombaga kohererzwa gitarama yarifite imbunda yo mubwoko bwa far maze aboherereza amasasu yo ak47 krachnikov naho amasasu yagombaga guhabwa bataillon gitarama ya far ayoherereza bataillon 81 yaritunze imbunda zo mubwoko bwa l4 zikorerwa muli south africa. Amasasu yagombaga kohererezwa bataillon 81 ya l4 bwana habyarimana na lt ndagijimana bayoherereza bataillon ya 92 yari za muvumba arik oubwo yari yageze muhura. Nguko uko habyarimana yatanze umutara na kibungo abiha fpr kandi guhera ubwo ahita ajya muli fpr kwifatanya nabo. Theobald rwaka (bita rudibiri) utuye New Hampshire USA numugorewe uzi kwizina rya Kideberi nuruhare rwabo muli fpr. Sinizera neza ko bwana rwaka nuruhare rwe muli fpr ashobora nalimwe gutekereza gukorera neza abanyarwanda cyane cyane abahutu. Ubundi umuntu nka bwana rwaka ntakintu kizima agira uretse kuba aba kuri welfaire muli amerika zabantu babasaza batemerewe kugira aho bakora surtout que uretse nubusaza ntanicyongereza yiyiziye uretse cya good morning sir ntakindi kintu bwana rwaka yazanira impuzamashyaka cpc. Nawe irebere uyu mugabo ubwo yari ministeri wabanyururu murwanda urwanda nabanyarwanda bazamwibuka ko kuba icyo gihe ariho abanyarwanda besnhi bapfushije ababo bari bafungiye muli gereza zurwanda kandi barengana. Umugabo rwaka yashizeho gahunda yo kwima abanyarwanda bimfungwa ibiryo kugirango ashimishe shebuka kagame amwereka ko we atari umuhutu ariko yiyibagiza ko uretse kugira amazuru nkayifarashi bwana rwaka arumuhutu wumushi akarere fpr yakomeje kurwara kuko itashoboye kubica muli 1994 kuko bahise bahungira bukavu. Ikindi kintu abanyarwanda badashobora kwibagirwa nubushigabo bwumugorewe nibintu yajyaga ashinyagurira baanyarwandakazi yahuriraga nabo mumugi wa kigali abita interahamwe ababaza nimpamvu badafungiye muli 1930 aho umugabo we yarumuyobozi. Uyu mugore yafungishije abahutu benshi abita interahamwe ubwo batahukaga mugihe bshakaga guhakwa kubatutsi. Ndabibutsa ko bwana rwaka ari muri bamwe bahise bafatanya na fpr bavugako ije kubarokora ikabakura mumaboko ya habyarimana. Uretse nibyo ari muli bamwe bayoboye amashirahamwe yirirwaga abyina ngo habyarimana gisunzu navaho impundu zizavuga. Nonse bwana rwaka ko impundu waziteye ubu ukaba uri kuri wefare muli amerika ntabwo wareka kuyobya abanyarwanda ubabeshya ngo ushaka kwifatanya nabana bacu bintarumikwa fdlr bamaze imyaka irenga 20 barwanirira ubwingenge wabavukije kandi abensih base balimo mubo wafunze? 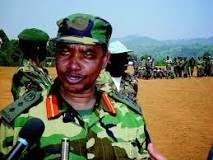 Ngaho banyarwanda mumbwire ukuntu aba bagabo bombi bazafasha fdlr.